Help me welcome Linda, the guest author for today's post. She's got a great message to share! It is the significant part of parents’ responsibilities to ensure that their kids are aware of the possible risks of using mobile devices prior to receiving their mobile devices. There is a definite need to sit down and discuss issues like cyberbullying and sexting with your child, especially teenagers. This will enable them to make smart decisions if faced with such problems. If your kid is too young to comprehend fully what you are trying to explain, you need to look for a more effective and realistic solution to direct their use of the mobile device. There has been a lot of heat lately regarding cyberbullying with the consequence ranging from mild to being as harsh as young adults committing suicide. Everyone from government institutions to schools is at a debate on what to do, how to tell if it is going on and how both stop and prevent cyberbullying cases. However, you as a parent have to decide and take action to ensure that your kids will not be a victim. You can use various mobile tools to protect your children. Still, with all the applications available online promising all sorts of ways to detect harmful activities it is a bit hard to decide which one to use. Be an educated user prior to making a decision and take a look at these considerations. Complete access to your child’s mobile device can be given to you by cell phone monitoring app mSpy. There is a dashboard for your use where you can view and block any contact or website in your kid’s phone. If the smartphone of your child has an unlimited data plan, the app’s ability to check the history of web browsing that your kids do will be very useful. There is also the added bonus of using cell phone towers or GPS technology, so you can track your child’s actual location. 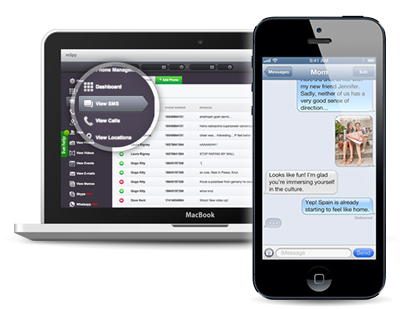 Text messages as well as pictures and videos can easily be sent and received on mobile devices. It is important for you to know if the content is safe and appropriate for your child’s use. All communication logs are being tracked by mSpy and you can view text messages in full detail as well as photos or videos sent, received and stored anytime you want. You can also use mobile tracking app to lock your kid’s cell phone remotely. It is very easy to install and use mSpy despite the variety of functions it has. Then you get access to all incoming and outgoing calls, text messages sent, received and deleted, GPS tracking, contact information added, email threads and logs, history of browsing websites, photo and video logs, and calendar events. The control panel gives you real time access to your child’s phone screen. There may not be much room for privacy but the app will keep your kids safe. As a responsible parent, you always try your best to explain and teach your kids to follow safety precautions but there will be instances when you need to take control. Such is the case when it goes to the use of mobile devices and the information being exchanged online. Guest author Linda, develops the mobile tracking software, for more info visit https://twitter.com/mSpycom. She writes on kids safety tricks and anti-cyberbullying apps. My kids aren't allowed to use the computer - yet, but cyber bullying is definitley a concern when they do! Before computers there bullying. Now it's cyberbullying. Both forms are extremely bad and it's a shame that bullies can find any and all outlets to be the worst they can be. I think it is essential that parent's monitor their children's activities and accounts because there is so much bullying. Unfortunately, people have become more aggressive on-line because they hide behind their computer. This is a great service available and from working in the middle school setting before having my kids I know a bit about cyber bullying. So, yes being able to monitor with your kids phones with an app realistically is a great option for parents of pre-teens and teens to have. Thanks for sharing. This sounds like a really great service. Thanks so much for sharing. I'll be looking into it more. These are great tips for teenagers! Yep, there's enough cyber bullying by adults on the internet. Got to protect the kids. There are way too many horror stories out there. I need to pass this info to my daughter. My oldest grand is very confident but the next oldest is struggling in all sorts of ways. I so don't want to have her fall prey to bullies. Thanks Rosey and Linda! The bully tales make me so sad. This is not the behavior we want from our children. I wish I could flip a switch and make the world a better, safer and kinder place. The more anonymity one has or the more they are out of sight, the meaner they can be. Definitely need to take precautions best one can. Sounds like a great program. Thanks for the info! Sounds like a very good program! I just heard something about schools around here are going to start punishing those kids who cyber bully, even off school hours. Small steps, but it's definitely a start! What an amazing post! These are such great tips! I'm so glad there is something like that. Of course my kiddo is too young for a phone or more than just a few games on the computer, but when he does get old enough I want him to be aware that I will be monitoring texts and communications. There's just too much opportunity for abuse, bullying and inappropriate stuff. Even when they're teens, we're still the ones that have to protect them. They may balk, but it just has to be! What a great tool! There are far too many awful stories out there these days - it's nice to find something that can be done! great tips. I will be sharing this. So you're basically spying on your kid? Also, knowing how I am, my kid has no worries about being cyberbullied. If anything, I'll end up turning them into one. ._. Great tip and APP, thanks a lot for sharing! Every parent needs to read this. Awesome tip, Rosey! I am definitely going to share this! I wasn't familiar with this, thanks for sharing! In the case of cyber bullying it is wise to be proactive than reactive. Great tips. This is such a huge topic. It seems it follows around in every form possible. My son is too young for a phone, yet, but will keep these tips in mind. Thank goodness a lot of the internet traps are coming to light, but are we able to stay one step ahead? Thanks for sharing. It gives tips to me. Thank you very much for this post on cyber bullying. This has become a global issue and parents need to be informed if they are to protect their children. The kids may think that their parents are being snoops but they need to be reassured that they are only trying to protect them. Thank goodness when I was raising kids, there was no cyber bullies. I will send this to my Daughter though. You have some great tips here. I agree with you on this topic. Parents just have to be more involved in helping their children to handle and plan of action for future references! So many parents just don't want to do the hot and heavy. But sometimes and most times parenting is hot and heavy and we need to step in! This is super important, especially lately it seems. I got into a HUGE fight about parental responsibilities on Facebook a few weeks ago. Thanks for sharing!